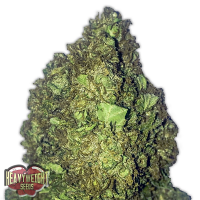 Originally founded in Spain in 2008, Heavyweight Seeds now provide an extensive range of marijuana seed varieties that have been developed to satisfy all tastes. Having only been released to the European market in 2010, Heavyweight Seeds is already building a reputation as a cannabis seed bank that puts consistency, quality and performance at the forefront of their business operations. This exciting and varied range of feminised cannabis seeds appeal to beginner, experienced and commercial cannabis growers who are looking to achieve optimum results at all stages of the production process. 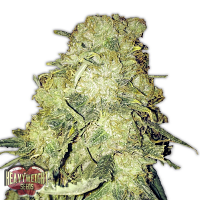 All Heavyweight Seeds are also notorious for producing big yields, and many seeds within this collection can also be used for medicinal purposes, making them perfect for treating common diseases such as Epilepsy, Parkinson’s disease, Glaucoma, Cancer, Anxiety and many more. Best sellers in this range include Heavyweight Seeds Turbo Bud Auto Feminised, Heavyweight Seeds Wipeout Express Auto, Heavyweight Seeds Dream Machine Feminised and Heavyweight Seeds Superb OG Feminised. If you require any further information about Heavyweight Seeds, or any of the weed seed banks we supply, please get in touch! Our friendly and helpful team is always on hand to answer any of your questions.